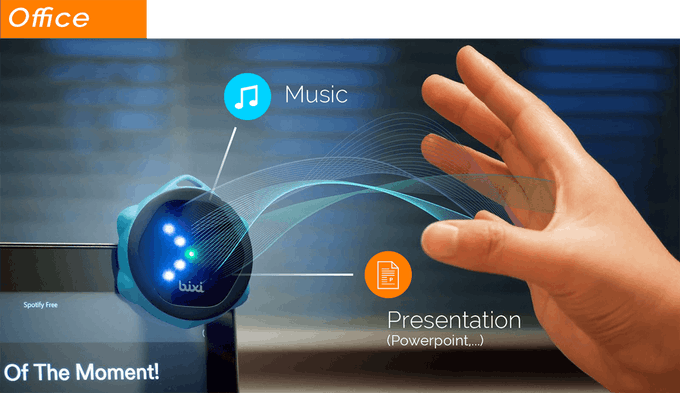 In a world filled with touchscreens, Bixi is the device determined to make gesture controls the new way to interact with our technology. Bixi is a hexagon-shaped device that brings wireless gesture control to smartphones, tablets and other smart devices. Bixi uses “time-of-flight” sensors to monitor your in-air gestures up to 25 centimeters in front of itself. Most of us have been in situations where we can’t touch our devices because our hands are occupied or dirty. Bixi makes it easy to command our devices to do what we want, without having to really touch them. 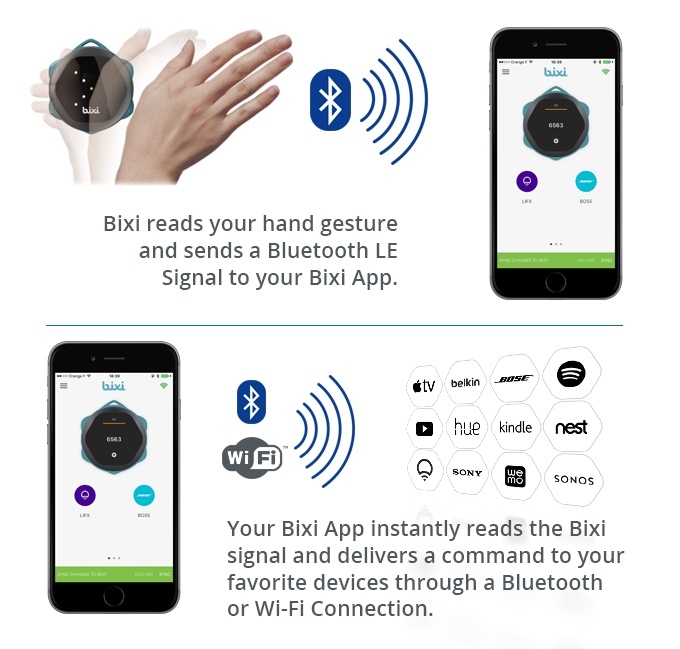 It works by tracking your natural, intuitive hand gestures and then sending signals to the Bixi gesture app via Bluetooth, the app then delivers the commands to your device via Bluetooth or a WiFi connection. 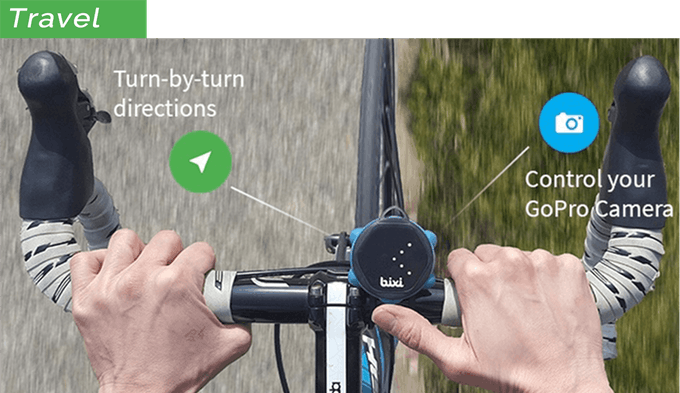 The technology behind Bixi is a patented “Time-of-flight based optical sensors with milli-meter level precision.” The ultra-portable device works with smartphone Apps as well as other devices such as LifX bulbs, Bose Soundtouch Speakers, GoPro, tablets and just about any Internet enabled device. It also allows the user to control up to two devices or Apps at the same time. 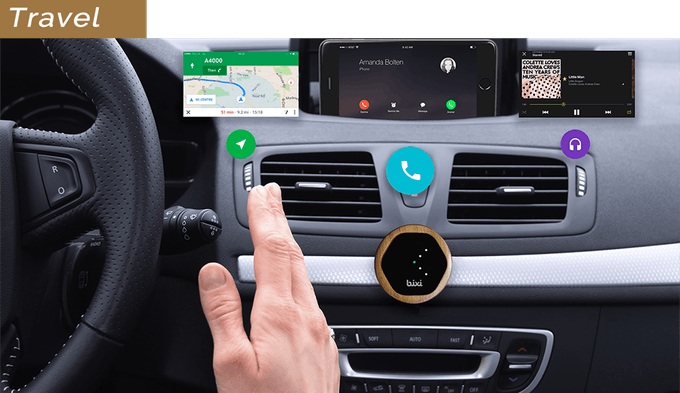 If Bixi sounds like a device you may be interested in, you can get one now on Kickstarter for $79, with the company expecting to ship it to you around March 2017.